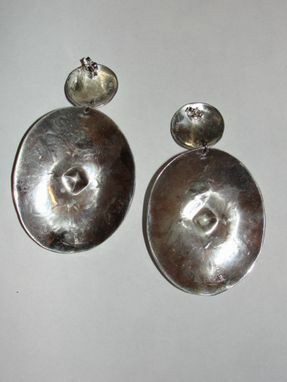 The fiftteenth piece of my 11th collection of Native American inspired jewelry. 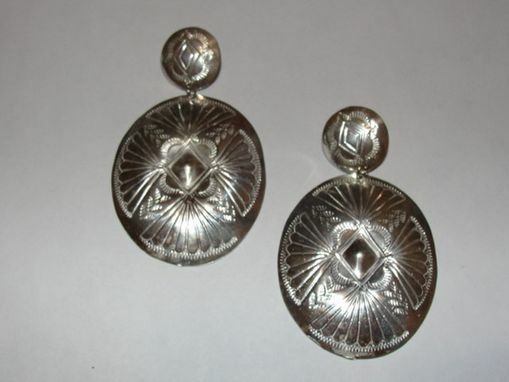 These sterling silver concho earrings were carved from 4 different waxes, with great texture and lots of detail. 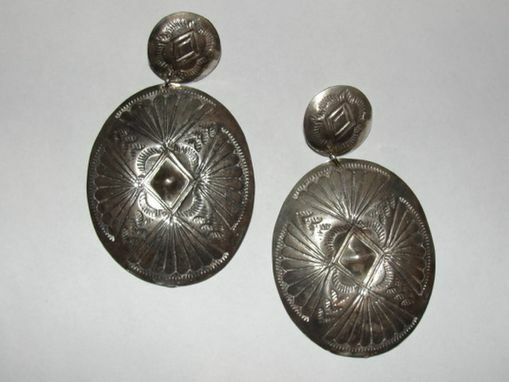 Techniques involved in producing these earrings were taught from the Navajo Native American Nation to the Zuni People in the 1870\'s. 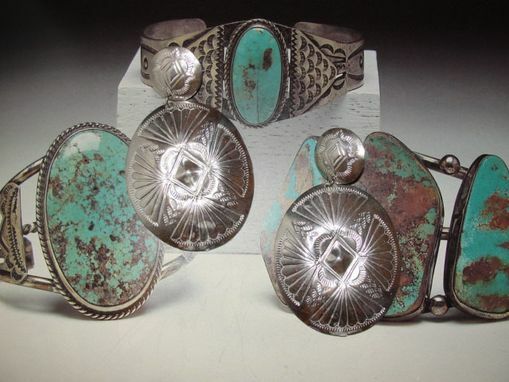 Basicly rocks are carved with symbols and then hand stamped into silver jewelry. 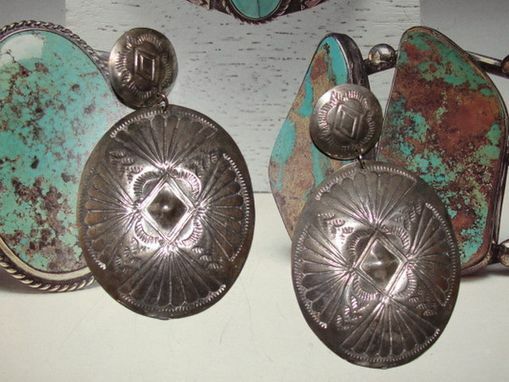 The front of the these earrings from top to bottom measures just under 3' and the post with etching measures 3/4' in diameter and the hanging concho measures 1 3/4' in width.. Upon ordering please let me know how you would like them finished!